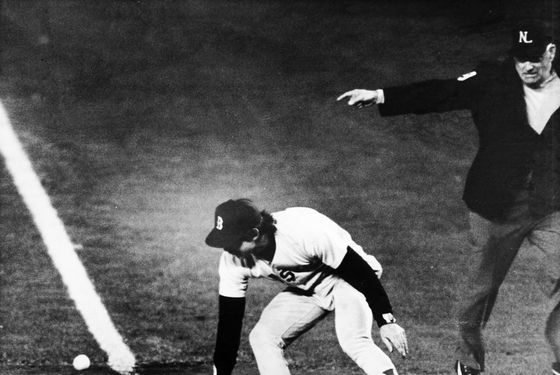 Today, October 25, is the 25th anniversary of Bill Buckner's error in Game Six of the 1986 World Series. Buckner was portrayed as a goat for the ages in the aftermath of that series, though it can't be repeated enough that he alone did not lose the series for the Red Sox. Boston's pitching had already allowed the tying run to score in that fateful tenth inning, and there was still a Game Seven to be played. That said, Buckner's gaffe is still one of the most memorable moments in World Series history, and to Mets fans, at least, it's also one of the greatest. Below, three videos on the anniversary of Buckner's error. The years following the error were hard on Buckner. There was heckling. There were death threats. Via NPR, a reporter once called his wife to ask if he was contemplating suicide. According to this 1993 Sports Illustrated article, Buckner actually received a nice ovation at Fenway Park when he returned to the Red Sox in 1990 after stints with the Angels and Royals. But if you needed to point to one moment where it appeared that Buckner had finally been forgiven for his error, it came on Opening Day in 2008, when he was invited to throw out the first pitch, months after Boston clinched its second title in four seasons. And finally, provided HBO doesn't have it removed from YouTube, here's a clip from Buckner's appearance on an episode of Curb Your Enthusiasm last month. We won't go through the plot of the whole episode, but suffice it to say, Buckner proved to be a heck of a good sport. Here's the final scene (so, spoiler alert, we guess) in which Buckner, finally, plays the part of the hero.